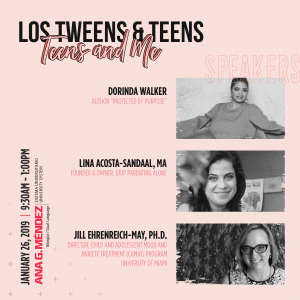 aaayyyyaaaaa- Can you hear the song.. “Canta y no llores” – Sing and don’t cry Moms of Tweens! What do Tween moms most likely have in common? Stress and smiles! Kids ages 7-12 require our attention at an amazing pace. You hear the Abuelas and voices of experience refer to newborns and teenagers as the ’tough years.’ But los tweens are quite the handful. At this age they’re facing so many changes. Puberty alone makes them crazy, bullying is a major worry and the schoolwork (and PROJECTS!!) makes us parents crazy! – Why are we doing that? – But why are we going there? – But why are you yelling at me? – But why is my teacher so mean? – But why is my life so hard? – But why do I HAVE to do homework? 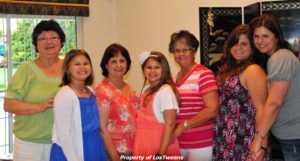 So for this Mother’s Day we’re sharing a fun video that our tween chicas actually did for US!! Yes, we did cry when we saw it first and just had to share. They’re sharing their amor with us. Please share your special moments from Mother’s Day or anytime with us on Facebook. And on a personal note- here’s a photo of my girls with my ‘maaa’ as I call her and my Tias. These terrific women taught me everything I actually use daily in my life. My ‘ma’ role modeled the behavior she wanted in me and she would stop at nothing to ensure I went to school and completed my education. Katherine and I have the true blessing of having enjoyed wonderful Abuelas in our lives and we remember them daily. We’re surrounded by terrific moms impacting so many lives. A special ‘te quiero’ and FELICIDADES to the Tias, primas, amigas and all of you- our reader/supporter moms.. Cheers to us!! This entry was posted in Culture, For Mothers & Tias, Las Moms, Mother's Day, Videos and tagged amor, Dia de las Madres, holidays, kids, love, Mami, moms, Mother's Day, padres, Parenting, Tweens. Bookmark the permalink. omg, that was SO adorable!! Thanks for sharing it!! Beautiful got me all teary eyed! Happy Mother’s Day!! Gracias amigas! Thanks for checking out our video- they made us cry!! 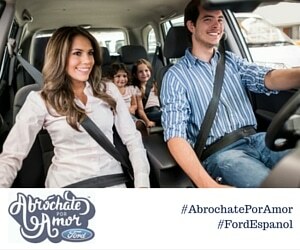 Please share pictures from your special day on our Facebook page- abrazos!